The European Union on Monday said it was teaming up with South Korea to develop a next-generation 5G wireless service quick enough to download full-length movies to a smartphone in seconds. The deal is a big one for the EU, which was a leader in the early days of mobile technology but has trailed Asia and North America since the rise of the smartphone in providing the most up-to-date services. 5G technology—set to be 1,000 times faster than the 4G services currently available—is in the early stages of development, but governments and technology giants are pouring billions into it so as not to be left behind. 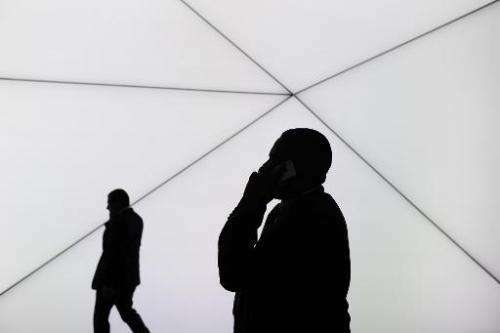 By tying up with the South Koreans, the EU hopes to restore its onetime standing and not suffer from the fragmentation that has hampered the rollout of 4G technology across the 28-nation bloc. South Korea—home to smartphone giant Samsung—is investing heavily in 5G. In January, the government announced a 1.6 trillion won ($1.6 billion, 1.2 billion euro) plan to build a new network. China, the US, Britain and Germany have all announced big 5G projects. In Monday's agreement, the EU and South Korea agreed to work towards a 5G global standard, which if achieved could significantly accelerate the worldwide development of the technology. The deal also sets up a partnership between private consortiums that include all the biggest players in the European and Korean smartphone markets. South Korea is renowned for being at the forefront of Internet technology with broadband speeds that consistently out-pace those in Europe or the United States. 5G, which will allow users to download an 800-megabyte movie file in one second, "will become the new lifeblood of the digital economy and digital society," said EU Commissioner for the digital agenda, Neelie Kroes. "This is the first time ever that public authorities have joined together in this way, with the support of private industry, to push forward the process of standardisation," she added.